Would be screenwriters hear about the American Film Market (AFM) and wonder what is is and whether they should attend. Stephen Potts wondered in 2015 then attended in 2016, and now shares what he learnt. AFM is not a gathering of screenwriters, directors and other creatives (go to the London Screenwriters’ Festival for that). Nor is it a festival with premieres, high-profile screenings, retrospectives or Q&A sessions with directors (go to Berlin, Cannes, Edinburgh or Toronto for that). Tip 1. AFM is neither a conference nor a festival. For a week in early November each year the Loews Hotel in Santa Monica is taken over by AFM. All the beds are moved out and every room, over 8 floors, is given over to production and sales companies seeking to sell the films on their slate. At back-to-back meetings, often arranged well in advance, buyers for different media and different territories cut deals. DVD distribution for Japan? Deal. Theatrical release in North America? Deal. Video on Demand? Deal. Companies go to market primarily to sell, not to buy new projects: so cold calling at their office door to pitch your latest Aliens in Elizabethan England story is unlikely to get you signed up. But it’s not impossible: just as a farmer might take his sheep to sell at market, and pick up some seeds to take back and cultivate for the next market, you never know. Just don’t set your expectations too high. Tip 3. 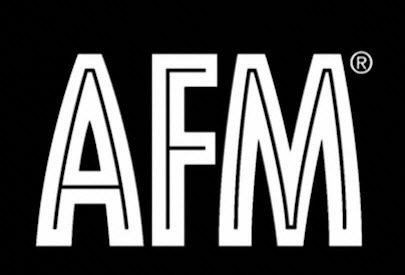 AFM is primarily for production and sales companies to sell finished films or pre-sell film packages. They might look at scripts to buy later, but that’s not why they attend. Flights to LA from the UK aren’t cheap . The hotels tend to be heavily booked and prices are jacked up during AFM. A modest room close by will cost more than $200/night. Prices drop if you are prepared to go further afield in Santa Monica or down to Venice Beach but in my view it’s worth the extra cost to stay centrally. You can buy badges for 1, 4 or 7 days, which give you access to the event and a series of round table discussions. Specific half day conference sessions are extra. There is little point going all that way for less than four days, so factoring in flight, hotel and a 4-day badge you are looking at $2000+. You may be able to get support form your local screen agency — but you have to submit a detailed plan in good time. I left it too late for Creative Scotland to consider support. Tip 4. It costs. You can get support but you must apply in good time. You stop you can’t just show up, knock on doors and hope to get signed. You have to plan, make approaches in advance, and do the legwork when you are there. The AFM director, Jonathan Wolff has produced a very useful guide on how to work the AFM. He repeats some of the advice in seminars on day 1 (Wed) and day 4 (Sat) — but if you leave it until then to act you have left it too late. It’s also worth listening to Pilar Alessandra’s podcast in which she interviews him about AFM (On The Page: episode 473). When you sign up for a badge you get access to a comprehensive database about the 400+ companies attending, which details their activities, genres covered, likely budgets, territories etc, and gives names and contact details for the executives attending. There is also a linked catalogue of films being sold. It is intended mainly for buyers – but this can be useful for writers wanting to know who is selling the kind of films they want to write. Doing your homework can save you a lot of time, effort and disappointment. There is no point pitching Aliens in Elizabethan England (budget $25 million) as a script for development to a company whose profile tells you they don’t do sci-fi or history films, whose budget cap is $10 million — and who don’t do development. There is no point booking a meeting with an executive whose role is the marketing of finished films, when you want t meet someone in acquisitions or development to get one started. You can find all this information easily — once you are signed up — but it still takes time to go through it and identify who you want to approach. Tip 5. Preparation is crucial. Begin several months in advance. An optional extra at $95 dollars is a half day pitch conference on the Saturday morning. Pilar Alessandra (a star at London’s Screenwriter’s festival) moderates a session where 20+ hopefuls (including some picked from a hat) deliver two-minute pitches live on stage to a pair of very experienced producers, in front of an audience of hundreds. Participants are selected from video pitches submitted in advance. The selection rate is about one in three, but even if you are not one of the chosen (I wasn’t) it is very instructive to watch your peers being put through the mill. You can see for yourself what works, and what doesn’t, and hear from the producers and from Pilar about the reasons why. Tip 6. Don’t miss the Pitch Conference! At the minimum you need a well-developed script, ideally packaged with director and perhaps some key cast, or a script developed from a pre-existing piece of intellectual property to which you have the rights (book, previous film, stage play, true story etc). Have the logline absolutely nailed, and various versions of your pitch to suit different circumstances. I thought about going in 2015 and after initial research decided against, as it was clear I wasn’t ready. I continued to research and resolved to go in 2016, but even with a lot of preparation my project was a little undercooked. It was still definitely worth attending, not least because I was able to take meetings outside the context of AFM, with US partners I knew would be there, and I returned with one signed contract and a few handshake deals. In this sense AFM acts as a catalyst for other meetings that might not otherwise happen. Tip 7. Don’t go without a viable project. BIO: Stephen Potts is a screenwriter based in Scotland who specialises in historically set adaptations. All the projects he discussed at AFM were in this category. There is more information via his website, and you’ll find him on Twitter. He wrote a newbie’s guide to Berlinale for B2W – and is looking for other events to attend as a newbie. Apologies for the typos I have just spotted – responsibility entirely mine. Don’t worry, typos happen – have corrected the biggest one at the bg 🙂 Funny how we see what is *sposed* to be there. Thanks for the great article! 3) How does it work: Business at AFM is about 50/50 on presales and finished films. More than half of the sales companies don’t screen because their films were presold. Also, the screening occupies all commercial theatres in Santa Monica. 4) AFM is expensive: Our contract with the local hotels require keep their rates the same as if the AFM wasn’t taking place until 30 days before the market starts.